After such a prolonged period of drought, many pastures have taken a real beating. Currently, conditions are ideal to renovate your pastures. Not only will you have abundant feed for your stock, but a thick, agressively growing pasture is great for strangling out weeds that may have taken a foothold during the drought. With significant rainfall across eastern Australia, many people are seizing the opportunity renovate their pastures. Most permanent grass species are active in the warmer months. However, annual and biennial ryegrasses and clovers can be planted in the Autumn and used to bridge the winter feed gap while most permanent species are less active. The reasoning behind planting in autumn is that the soil temperature is still sufficiently high to encourage quick establishment. There is also less competition from weeds at this time of the year. Ryegrass and clover are a great option as they are easy to establish. 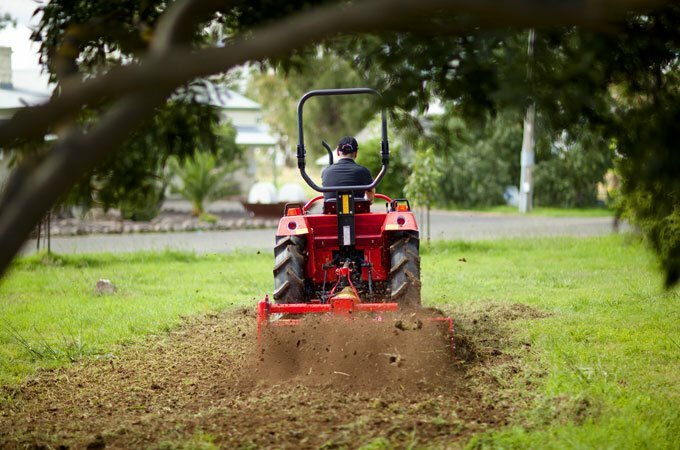 A super spreader behind your SOTA Tractor is a cost effective way of of sowing. This method of dispersal is advantageous because you can cover a lot of ground in a narrow time frame – especially handy when expecting rain. It also allows you to spread a starter fertiliser, aiding quick development of the establishing pasture. 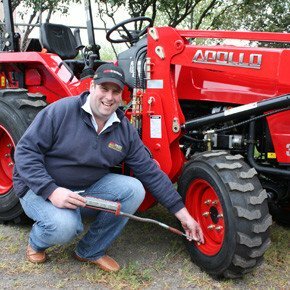 An APOLLO tractor from SOTA with disc harrows attached will help you to get the job done efficiently and cost effectively. To give your seedlings the best start, remove as much vegetation as possible before sowing. This may be done by heavily grazing a paddock or slashing. Better still, integrate it into the soil with some light offset disc harrows. Once the seed and fertiliser are on the ground it is a good idea to try and integrate it. Harrowing or rolling is a good way to do this, as is running your stock over the paddock to let their hooves push the seed in. You cannot have stock on the emerging seedlings as they will favour them, rendering the sown area of the farm off limits for some weeks. Because of this, it may be a good idea to sow one area at a time. It is important that you do not have constant grazing pressure until the grass forms an established sward. Seedlings will not persist if overgrazed.